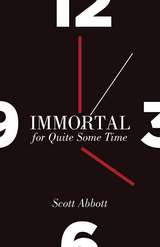 Thus Scott Abbott introduces the reader to his exploration of the life of his brother John, a man who died of AIDS in 1991 at the age of forty. Writing about his brother, he finds he is writing about himself and about the warm-hearted, educated, and homophobic LDS family that forged the core of his identity. Images and quotations are interwoven with the reflections, as is a critical female voice that questions his assertions and ridicules his rhetoric. The book moves from the starkness of a morgue’s autopsy through familial disintegration and adult defiance to a culminating fraternal conversation. 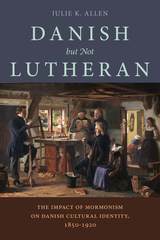 This exquisitely written work will challenge notions of resolution and wholeness. Winner of the book manuscript prize in creative nonfiction in the Utah Arts Council’s Original Writing Competition. 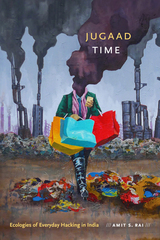 Winner of the 15 Bytes Book Award for Creative Nonfiction. Archaeologists define stone artifacts that are altered by or used to alter other items through abrasion, pecking, or polishing as “ground stone.” This includes mortars and pestles, abraders, polishers stones, and hammerstones, and artifacts shaped by abrasion or pecking, such as axes, pipes, figurines, ornaments, and architectural pieces. 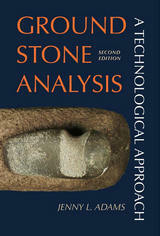 The first edition of Ground Stone Analysis sparked interest around the world. In the decade following its publication, there have been many advances in scientific technology and developments in ethnographic and experimental research. The second edition incorporates these advances, including examples of international research that have utilized a technological approach to ground stone analysis. This study presents a flexible yet structured method for analyzing and classifying stone artifacts. These techniques record important attributes based on design, manufacturing, and use and are applicable to any collection in the world. The methods presented guide quantitative and qualitative assessments of artifacts and assemblages. Recording forms and instructions for completing them will be available on the University of Utah Press’s open access portal at www.UofUpress.com. Ground Stone Analysis is an important, useful reference for any archaeological field worker or student who encounters ground stone artifacts and is interested in learning more about the people who used them. Archaeologists refer to stone artifacts that are altered by or used to alter other items through abrasion, pecking, or polishing as "ground stone." This includes mortars, and pestles used to process vegetal materials, pigments, clays, and tempers; abraders, polishing stones, and hammerstones for manufacturing other artifacts; and artifacts shaped by abrasion or pecking, such as axes, pipes, figurines, ornaments, and architectural pieces. Because there is a fuzzy line between flaked and ground stone artifacts, some analysts state that ground stone includes any stone item not considered flaked. This manual presents a flexible yet structured method for analyzing stone artifacts and classifying them in meaningful categories. The analysis techniques record important attributes based on design, manufacture, and use. Part I contains discussions on determining function, classification, attributes of grinding technology, use-wear analysis, modeling tool use, utilization of ethnographic and experimental resources, and research suggestions. Part II contains definitions and descriptions of artifact types. 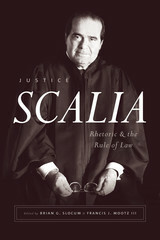 Here the author also seeks to unravel the knot that has developed around conflicting application of terms. A significant reference for any archaeological fieldworker or student who encounters such artifacts. Plains villagers had a well-developed life way of intensive horticulture, bison hunting, and residence in substantial timber houses. This volume documents how Plains village culture emerged as a widespread and cohesive cultural adaptation from its roots in late Plains woodland cultures, as well as how it was repeatedly altered by internal and external forces. It addresses the historical emergence of these peoples, greatly transformed and decimated as the Wichitas, Omaha, Pawnees, Arikaras, Mandans, and Hidatsas. This volume presents a cross section of current research about the origins and internal developments of prehistoric Plains village people in the Central and Northern Plains. The years 1908 to 1918 are frequently viewed as the period when the Ottoman Empire fell into decline, but in this volume, Feroz Ahmad argues that the Empire was not in decline but instead had come face to face with a widespread process of decolonization. Its colonies, stimulated by the idea of nationalism, sought to liberate themselves, sometimes with the help of the Great Powers of Europe, who in turn saw these rebellions as an opportunity to expand their own empires. While these ethno-nationalist movements have often been described in terms of Ottoman oppressor versus conspiring nationalists, here they are presented as part of a broad historical process. Ahmad holds that nationalism was introduced into the Ottoman Empire during the French Revolution, providing kindling for the struggles that later emerged. Setting the stage with this nineteenth-century background, Ahmad then examines each Ottoman nationality in the wake of the restoration of the Ottoman constitution in 1908. 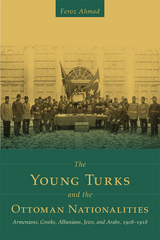 Officially known as the Committee of Union and Progress (CUP), the Young Turks made up a nationalist political party that ruled the Ottoman Empire from 1908 until the end of World War I. Ahmad illuminates the relationships and conflicts between the Young Turks and the Greek, Armenian, Albanian, Jewish, and Arab ethnic groups during this period. Placing these nationalities in their historical context, he shows their relationships not only to the Young Turks but also to one anotherno other single book has attempted to look closely at all of these connections. Anyone interested in understanding the roots of current-day relations in the Balkans and Middle East will find this book very informative. Clearly organized and written, the book will enlighten both readers and scholars. In 1879, 230 settlers in southwestern Utah heeded the call from leaders of the Church of Jesus Christ of Latter-day Saints to pull up stakes and move to the distant San Juan country of southeastern Utah. Their year-long journey became one of the most extraordinary wagon trips ever undertaken in North America, their trail one of peril, difficulty, and spectacular vistas. Beginning in Cedar City, Utah, this trail crosses today’s Dixie National Forest, skirts Bryce Canyon National Park, bisects the Grand Staircase-Escalante National Monument, crosses the Glen Canyon National Recreation Area, and comes close to Natural Bridges National Monument on its way to Bluff, Utah. Though the trail that these devoted pioneers broke across raw frontier was used for several years afterward, no highway was built over most of the route because it was deemed too rugged for modern vehicles. In addition to the historical value of the story of these pioneers, this guide includes road logs, maps, and hiking trails along the historic trail. 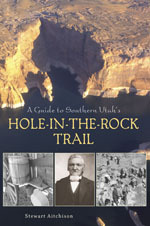 It also points out fascinating natural history along the way, making A Guide to Southern Utah’s Hole-in-the-Rock Trail a significant reference for a variety of readers. In this notable work, Souad T. Ali examines the seminal writings of Egyptian reformist scholar Ali'Abd al-Raziq, often regarded as the intellectual father of Islamic secularism, and his controversial argument that the caliphate should be considered a human innovation, rather than a religious imperative. 'Abd al Raziq contended that Islam is "a religion, not a state; a message, not a government," a major departure from the traditional view that religious and political spheres are intertwined and inseparable in Islam. Opponents denounced 'Abd al-Raziq's ideas as a foreign corruption imported from the West. Ali's careful, objective, and scholarly examination of 'Abd al-Raziq's work, however, reveals that his arguments are not based in Western thought. Rather, they sit firmly within the dictates of Islam's sacred texts, particularly the Quran and Hadith, and also enjoy considerable support from the historical record. This analysis critically challenges prevalent misinterpretations of Islam that have endured for centuries. 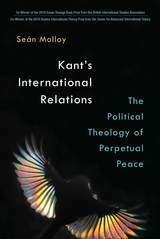 Ali recognizes the varied models and discourses that have arisen throughout different epochs, especially so the role that Western intervention has played in placing the question of Islam's modernity at the forefront of intellectual debate. Throughout, the study emphasizes the atmosphere of openness and tolerance that is a requisite for free, intelligent debate. Canyoneering 2: Technical Loop Hikes is a guide to seven, week-long backpack trips into some for the most unspoiled and least-visited areas in the Utah section of the Colorado Plateau. Every hike contains the four essentials of a great canyoneering route: spectacular canyons, intimate narrows, big views, and physical challenge. Although the routes are difficult, newcomers to the canyons will also find detailed information here that can be used to plan less demanding excursions. Hikes include Muddy Creek in the San Rafael Swell, Dirty Devil North, Dirty Devil South, Dark Canyon, White Canyon, Escalante East, and Escalante South. For experienced canyoneers. The San Rafael Swell is a seemingly endless expanse of slickrock, reefs, rivers, narrow canyons, mesas, towers, and pinnacles. It is the wilderness home of coyotes, eagles, mountain lions, and bighorn sheep. 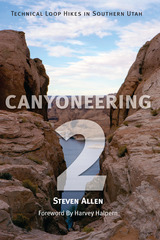 Steve Allen’s Canyoneering: The San Rafael Swell has long been the standard for exploring this remarkable area. With the input of fellow guidebook author Joe Mitchell, Canyoneering the Northern San Rafael Swell replacesthe older volume with a completely rewritten and updated text containing more detail, greater accuracy, and a tighter focus on the northern half of the Swell. This is the most current and comprehensive guide to the region. Designed for wilderness enthusiasts of all ages and skill levels, this guide provides detailed information on 25 hikes, including trip length, difficulty, elevation gain, and water sources. Side trips, points of interest, and historical information are noted throughout the text. This guidebook includes for the first time a wealth of topographic maps for all routes and roads, elevation profiles, and GPS coordinates. 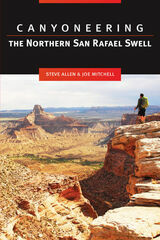 A second volume covering the southern portion of the San Rafael Swell is in preparation. Ames circles serious questions, rarely losing a sense of irony, bewilderment, or amusement, especially at his circumstances, with their inherent discomforts, risks, and not-so-reassuring self-revelation. 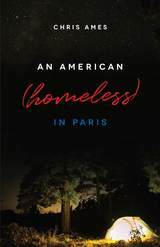 As readers see him stumble into renewed social bonds, his skewed searching and unconventional existence will engage and sometimes befuddle them. How is it possible that in 1521 five-hundred Spanish soldiers defeated the most powerful military force in Middle America? The answer lies not in western firearms, as we have been taught, but rather in the differences between the Aztec and Spanish cultures. Differing concepts of warfare and diplomacy, reinforced by tensions and stresses within the Aztec political system and its supporting religious beliefs, allowed Cortés to systematically gain and hold the military and diplomatic advantages that gave the Spaniards the day, the war, and the continent. Debitage, the by-product flakes and chips from stone tool production, is the most abundant artifact type in prehistoric archaeological sites. For much of the period in which archaeology has employed scientific methodology, debitage has been discarded or ignored as debris. Now archaeologists have begun to recognize its potential to provide information about the kinds of tools produced and the characteristics of the technology being employed. Debitage can even provide clues regarding human organizational systems such as settlement mobility and site functions. 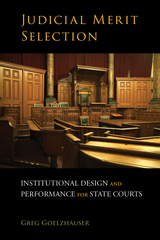 This volume brings together some of the most recent research on debitage analysis and interpretation. It presents stone tool production experiments and offers detailed archaeological investigations for interpreting variability at the individual and collective levels. 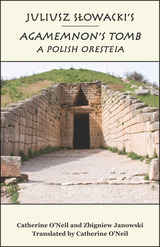 Although there are a number of volumes that focus on general analysis of lithic artifacts, this is the first volume to address debitage and should be of use to a wide range of archaeological researchers. Although plastic and metal vessels offer significant advantages and have almost universally supplanted ceramics throughout the world, pottery fragments are one of the most ubiquitous artifacts in the archaeological record. The southwestern region of Ethiopia is one of the few places in the world where locally made pottery is still the dominant choice for everyday domestic use. The Gamo people continue to produce and use pottery for transporting water, cooking, storing, and serving. Ethnoarchaeology undertaken in a society where people still use low-fired ceramics in daily life provides a powerful framework for archaeological inferences, especially since little behavioral information exists concerning the relationship between status, wealth, and household pottery. Based on John Arthur’s extensive fieldwork, this study sheds light on some of the puzzles common to archaeology in any region. It also helps decipher evidence of inter- and intravillage social and economic organization and offers insight on markers for pottery-producing and nonproducing villages and socioeconomic variability. 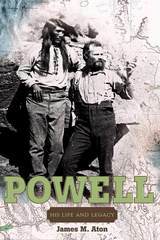 “John Wesley Powell: explorer, writer, geologist, anthropologist, land planner, bureaucrat. Which one do we focus on?” This is the question author James M. Aton poses at the beginning of his biography of Powell, though he soon decides that it is impossible to ignore any facet of Powell’s life. Powell was a polymath, one whose “divergent interests resemble one of those braided streambeds in his beloved canyon country, branching out in many directions, but ultimately beginning and ending in the same stream." Aton beautifully tells the multidimensional stories of Powell’s childhood, his military and teaching careers, his famous and exciting explorations of the Colorado River, and the battles he waged from his influential positions within the Smithsonian’s Bureau of Ethnology and the United States Geological Survey. 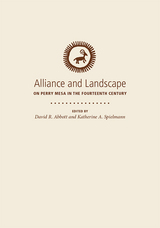 This new edition of John Wesley Powell: His Life and Legacy, first printed as an issue of the Boise State University Western Writers Series, includes the original biography, but also features Aton’s new interpretations of Powell’s writings on exploration, land-planning, anthropology, and irrigation, and incorporates the author’s distinguished faculty lecture on Powell and cash-register dams in the Colorado River Basin.